16 oz sunflower shoots + 4 oz wellness mix provides the perfect amount of greens to make this smoothie all week long! - Place items in blender in the order indicated on recipe. - Add water to help with blending. Enjoy! Toast bread. Mash avocado with paprika in separate bowl. Spread avocado mash over toasted bread. 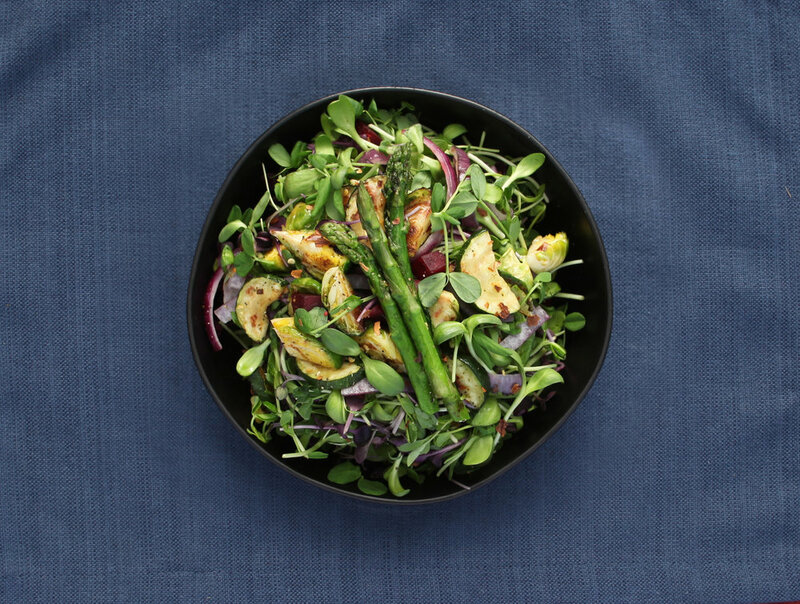 Top with a generous portion of arugula microgreens or micro salad, finish with a quick spalsh of olive oil, salt and pepper. Drizzle olive oil and balsamic reduction lightly. Drizzle avocado oil and balsamic reduction lightly. dd salt and pepper to taste.